55-metre high Free Fall tower. 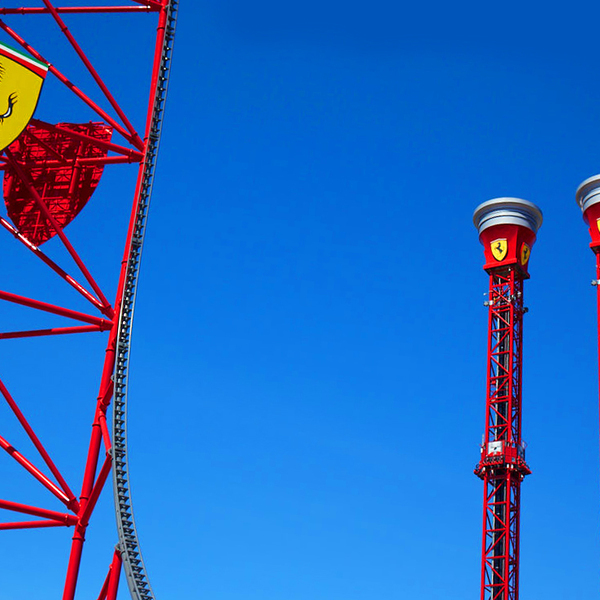 Feel the rush of adrenaline as you descend the exclusive mechanical gear of Ferrari Land, in a thrilling 55-metre-high free fall. 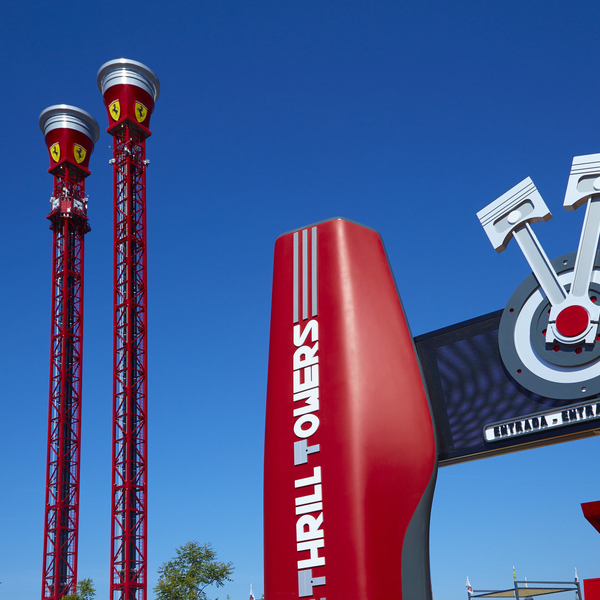 • You will climb aboard a gigantic model of engine pistons. • It will be constructed entirely of stainless steel and sheet metal on the outside. • Súbete a una representación gigante de los pistones de un motor. • Será construida, en su totalidad, en acero inoxidable y chapa metálica para el exterior. A journey through the history of Ferrari. 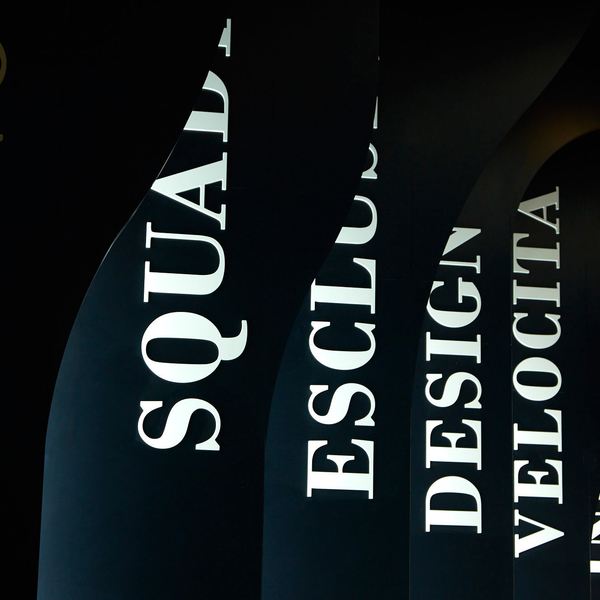 In this impressive space within the Ferrari Experience building, you will embark on an interactive journey in which you will discover the details of the story behind the legendary Italian Scuderia. Discover the bidirectional movements of a Ferrari's pistons as they fling you up and down. 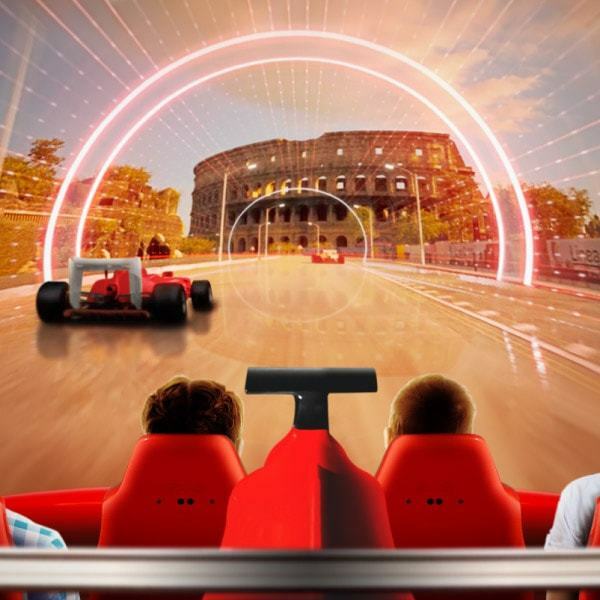 Live the F1™experience from within the Ferrari Experience building; the heart of Ferrari Land. Step into the central dome and feel the F1™ adrenaline.